John M. DiBlasio, PT, DPT, MPT, CSCS, founder and owner of Prospect Rehabilitation, is a Licensed Physical Therapist and Certified Strength and Conditioning Specialist. Dr. DiBlasio holds Bachelor of Science in exercise science, Master of Physical Therapy, and Doctor of Physical Therapy degrees from Temple University. While working and practicing in New York City and Philadelphia, he developed his vision to create a seamless continuum of care between the allied health and fitness communities, ultimately resulting in his founding Prospect Rehabilitation and the former Cornerstone Fitness Clinic. Dr. DiBlasio combines strong clinical experience with an appreciation for research to implement a wide range of treatment approaches for diagnoses ranging from orthopedic injures in athletes to balance and neurological disorders in geriatric patients. His areas of special interest, in addition to orthopedic conditions, include Over-50 Fitness, neurological conditions (eg Parkinsons), vestibular issues, and gait disorders. Dr. DiBlasio is also an Ergonomic Assessment Specialist. 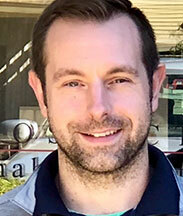 His research has been published by the Journal of the American Physical Therapy Association. He lectures to other health care professionals for Quest Seminars. 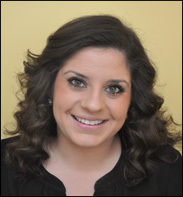 Lindsay White, PT, DPT, is a Licensed Physical Therapist, earning a Doctor of Physical Therapy degree from The Sage Colleges and a Bachelor of Science in the health sciences from Russell Sage. Dr. White is a certified McKenzie Method Practitioner in the areas of the low back and neck, and is working towards her KinesioTape Practitioner Certification. 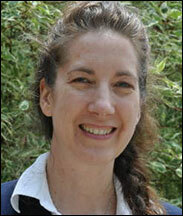 Dr.White brings new outlooks and ideas to Prospect Rehabilitation, based on her recent study of the latest research. Drawn to Prospect Rehabilitation's rural, small town environment, Dr. White enjoys having ample time to create meaningful clinical relationships with her patients. Nate Wood, PT, DPT, is a Licensed Physical Therapist who earned his Doctor of Physical Therapy degree from Franklin Pierce University. After completing his undergraduate work at Keene State College, Dr. Wood's interest in sports and outdoor recreation led him to graduate school and a career in physical therapy, where he is a strong advocate for health and wellness within the community. Dr. Wood specializes in manual therapy techniques and the treatment of orthopedic conditions. Dr. Wood strives to enhance his knowledge in advanced soft tissue techniques, sport-related and post-operative rehabilitation, and balance and gait therapy. 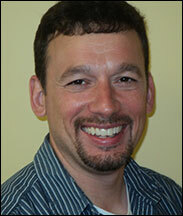 He has earned several certifications through the American Academy of Manipulative Therapy. The beauty and community of Manchester have drawn Dr. Wood back to his native Vermont, where in his spare time he enjoys hiking, mountain biking, skiing, camping, fishing, and playing league sports, as well as spending time with family and friends. 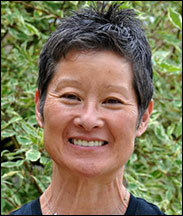 Christine Uchida, PTA, MCMT is a Licensed Physical Therapist Assistant. Ms. Uchida earned her Associate in Science in Physical Therapist Assistant degree from River Valley Community College in Claremont, New Hampshire, where she was a member of Phi Beta Kappa and received the Ruby Decker Award for Academic Excellence. Ms. Uchida also holds a Mastery Certification in Manual Therapy. Formerly a professional dancer, Ms. Uchida was a member of the Joffrey Ballet and Twyla Tharp Dance and has taught master classes and dance workshops internationally. Currently a black belt in the Koro Ken style of martial arts, Ms. Uchida applies her knowledge from both the dance and allied health worlds to achieve maximum results for her patients. Julia Arvin is co-founder and Practice Manager of Prospect Rehabilitation. She earned a Bachelor of Science from Philadelphia University and a Master of Arts from the State University of New York/Fashion Institute of Technology. In addition to handling the business aspects of the practice, Ms. Arvin acts as an advocate for the patients in her role as liaison between the clinical providers, front office staff, management, and insurance payors to ensure a positive patient experience and high quality care.